Isabelle Simler is an author and illustrator. After spending several years in animation as a director, scriptwriter, and illustrator, she has focused since 2012 on children’s literature. Her book Plume was named on of the New York Times’ 10 Best Illustrated Children’s Books of 2017, and her The Blue Hour, translated into English and published in the United States in 2017, was chosen for the prestigious The Original Art exhibit in New York. What do animals dream about? Does a snail dream of a fresh lettuce leaf? Does a cat, during its countless naps, dream of new acrobatics? What about koalas, giraffes, or whales? In this charming book, we follow the planet’s animals as they sleep, exploring their simple and comforting dreams. Simler invites us to share the intimacy of sleep with the titular sweet dreamers, showing readers the peace and tenderness that comes to us all when we dream. 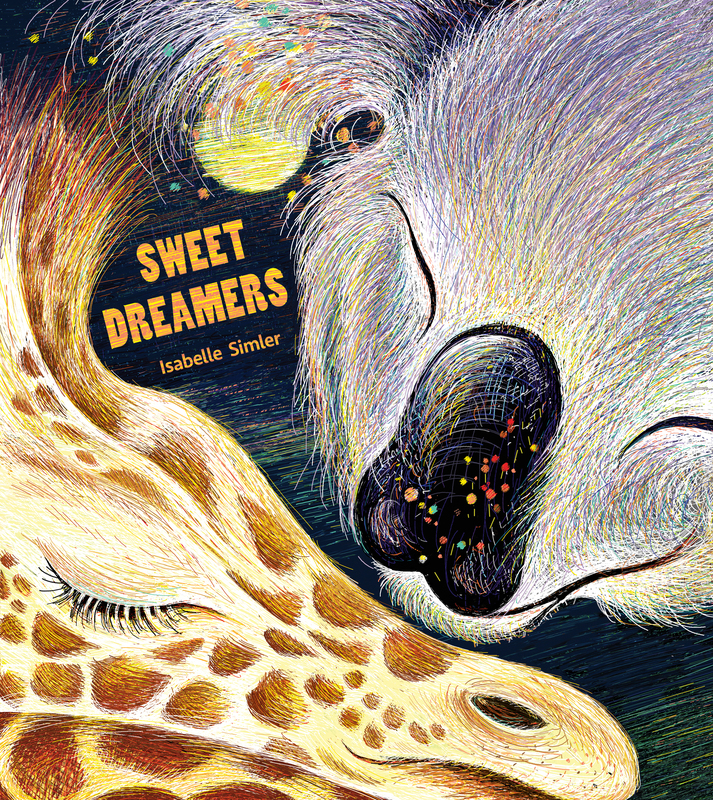 Written and illustrated by Isabelle Simler and translated from the French by Sarah Ardizzone, Prix Sorcières 2018 nominee Sweet Dreamers will be published in the United States on March 26, 2019 from Eerdmans.